On Saturday morning I got a message from my friend Vicky from suggesting I make a protein cherry pie. “Absolutely hell yes!” I said. “Can you send me a picture of what you want it to look like?” I asked her. She sent me this link. 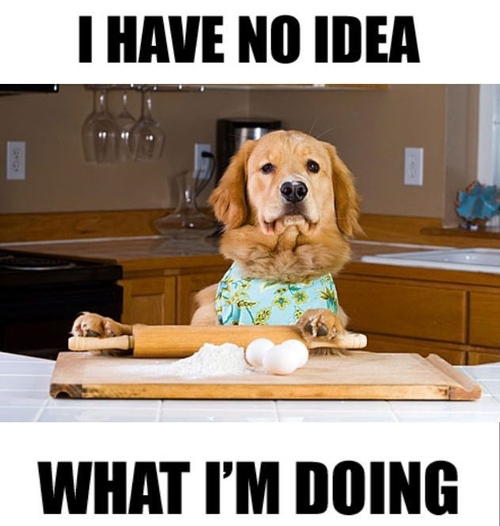 So I did what anyone looking to delve into the unknown waters of a new dish does: I googled some recipes. That’s when the journey took a turn towards the outrageous. There I was, at 11am in my saturday morning pajamas, holding my jaw in disbelief – shocked at how unhealthy traditional cherry pie is. I mean, close to 600kcals per slice with less than 6g of protein, more than 35g of fat, and over 60g of sugar?! Take a look at this recipe, for example. Sure, it probably tastes phenomenal. But how can it not, when you’re basically relying on sugar and fat to choreograph the final product? The beauty, to me, isn’t cooking something that just tastes amazing. The beauty is cooking something that both tastes amazing and is ACTUALLY good for you. It’s harder, YES. A lot harder. Below I show you just how hard it is ;-) But Zeus! Is it worth it! Because what’s the point of eating purely for pleasure? Of cooking without taking into consideration the nutritional profile of foods? It’s like having a car and fueling it with, I dunno… OJ! OK. It’s a bit extreme, I know. 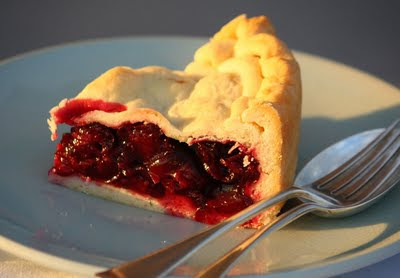 But still, why eat sugar-packed cherry pie every once in a while instead of making it healthy and enjoying it whenever? Now, I don’t always spend time thinking about this because it’s how our world is set up – with taste reigning supreme in the world of both traditional and haute-cuisine. But I still get outraged when I think about the apotheosis of sugar-and-fat-packed recipes and how they’re followed and applauded time and time again as the ‘best’ way forward. To arrive at a successful pie I had to draw from what the disaster taught me. 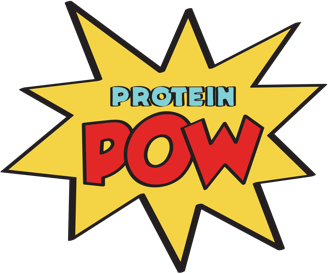 The first thing that it taught me is that the filling shouldn’t include any dairy-based protein powders or flours. I mean, cherry pie isn’t cakey inside or creamy or… whatever. It’s just cherry deliciousness. So what I did was use cherries + gelatine + BCAAs to make a sort of cherry-packed amino jelly. Then, I tweaked the crust ingredients to make a lighter ‘pastry’ and I cooked it at a higher heat for a lot less time to ensure it cooked just right. 1. Using a food processor or blender, blend all the base ingredients together until you get a sort of dough. Press 3/4 of this dough into a small spring-form pan. Cover the bottom of the pan and as much of the sides as you can, using a spoon. The remaining 1/4 of the dough will be used on top of the pie. 2. Once the ‘pastry’ is all done and pressed into the pan, move on to make your filling. All you need to do is add the cherries to a pot and bring them to a boil. They’ll release some water; that’s a good thing. Once the cherries have started to disintegrate a bit and there’s a good amount of liquid in the pot, add the gelatin and BCAAs and mix it all up until the gelatine disintegrates Note: if you don’t want to bother with the gelatin + BCAA combo, you can use sugar-free jelly powder instead. 3. Once your filling is done, pour it onto the base and, if you want to add the pastry strands of top, roll out the ‘pastry’ into a ball and then get some strands from it to stick on top. This is what it should look like. If you can’t be bothered with the strands, no worries. It’s just for pie aesthetics really. 4. Finally, stick the whole thing in the oven at 170 C (338 F) for about 20-30 minutes or until the sides and top look and feel cooked. Then, take it out (and smell it because oh! it’s like cherry heaven!) This is what it should look like once it’s cooked. 5. Let it cool overnight and the next morning BAAAAM! You have cherry pie deliciousness!!!!!!!!!!!!!!!!! Add a dollop of greek yogurt on top and nom nom nom! Get ready to dig into amazingness!